Family is a treasure that we all enjoy each and every day. Celebrate the joy of family and the pride it brings with a Personalized Love of Family Picture Frame. 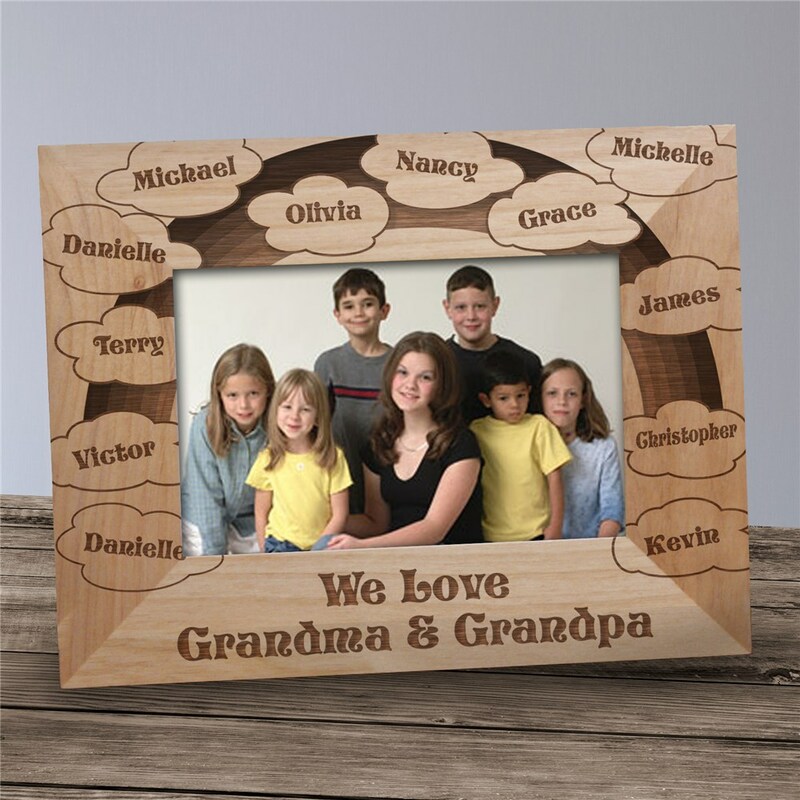 Personalized Gifts For Grandparents like this personalized frame is beautifully engraved just for you to showcase your favorite family portrait, grandchildren photograph or child's photo. This turned out perfectly and my mother-in-law was very moved by receiving such a thoughtful gift. GiftsForYouNow.com is the leader in Personalized Family Picture Frames suitable to give anyone you love. We specialize in Engraved Picture Frames which display your favorite photograph with love and kindness. The next time you need a Personalized Gift for Grandma, Grandpa, Mom, Dad, Aunt, Uncle or Best Friend, GiftsForYouNow.com has the perfect Personalized Picture Frames at the lowest prices.